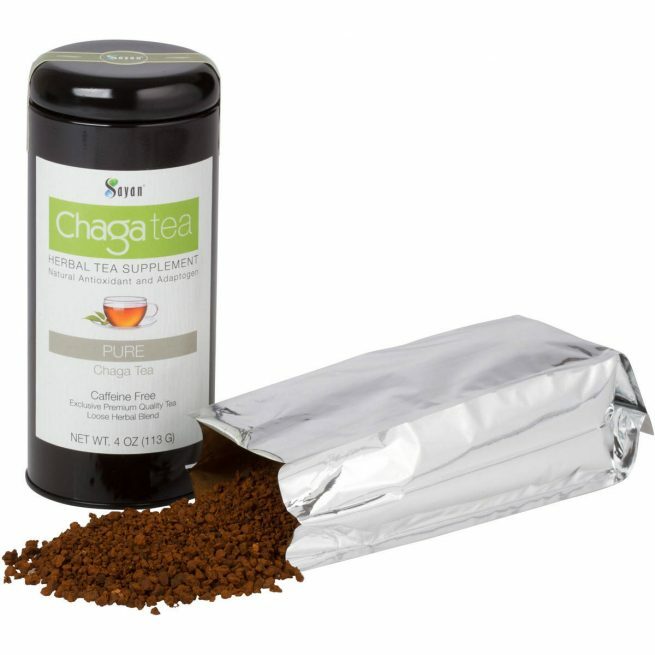 Loose chaga tea enhances its health benefits by allowing for optimal expansion of mushroom particles in boiling water. Seven flavor infusion choices are available, all providing essential health-giving properties. 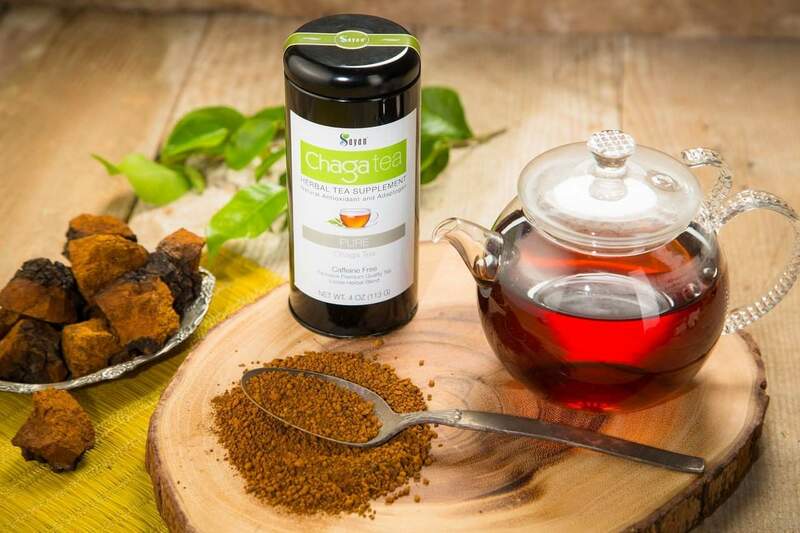 Ditch the caffeine and enjoy wild chaga tea. 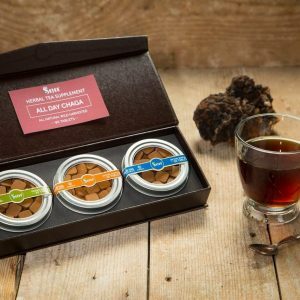 Our loose tea version of a medicinal mushroom favorite showcases an earthy, soft, and soothing taste, and allows for utmost release of the chaga’s aroma, flavor, and health benefits. You can choose Siberian Chaga tea from seven different flavors which we created to improve your health and wellness. Every great cup begins with fresh spring or natural artesian water. Using an infuser or teapot, combine 1 teaspoon of Sayan wild chaga tea with boiling water, and steep for 2–3 minutes. 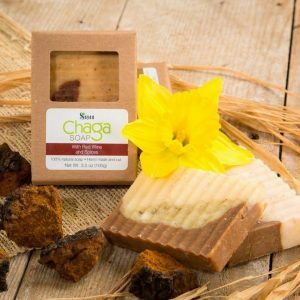 Chaga constituents also may reduce the effects of aging, can reduce muscle fatigue, and enhance the appearance of skin and hair. Germanium, one of chaga’s components, is a free radical scavenger, helping to seek out and counteract oxidative stress. * Other supplemental valuable ingredients include copper, potassium, and iron, and vitamins D, K, and B. 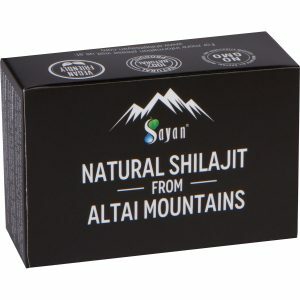 For thousands of years, Sayan Mountain locals have lauded chaga as the ultimate gem of all medicinal mushrooms. 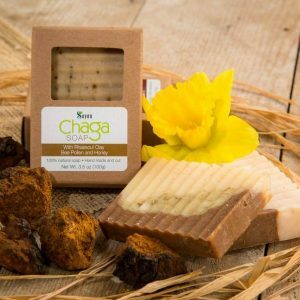 The regional substance even bears lofty titles such as “Nature’s Silver Bullet” and the “Gift from God.” Although largely ignored in the Western world for hundreds of years, chaga has recently emerged as a powerful source of health-enhancing antioxidants. Handpicked from Siberian birch trees, today wild chaga tea is sweeping the United States and the world as health-conscious tea drinkers catch on to its multiple benefits and connection to exceptional health. Our loose tea contains sustainably harvested wild chaga mushrooms, ensuring that each cup of tea provides the highest degree of pure chaga benefits, nutritional constituents, and flavor. From de-stressing to immune system support, Sayan chaga tea’s advantages are backed by hard science and years of laboratory research. When you brew a cup of loose chaga tea, you’re opening yourself up to an avenue of health unparalleled by other supplements. Give yourself the gift of multi-faceted self-care today, and try Sayan chaga tea. 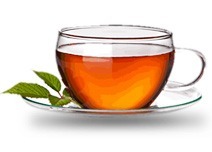 Why Choose Sayan Health Chaga Loose Tea? Because tea crumbles need room to expand for full-bodied flavor, our loose teas contain the optimal benefits of chaga health in each mushroom portion and powdery particle. 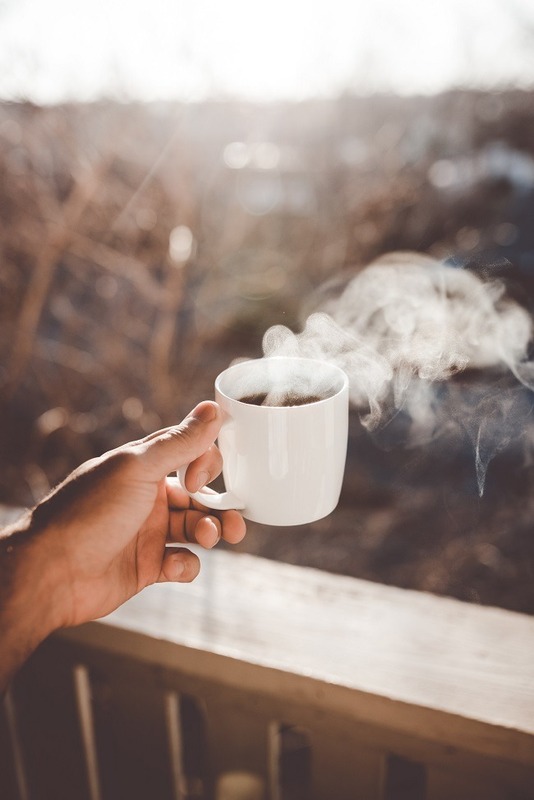 To maximize the potency and purity of your chaga tea, we incorporate a low-pressure hot water extraction method and sublimation freeze-drying process. Sayan only uses 100% natural ingredients free of fillers, GMO substances, and chemicals. Sayan Health is the only chaga company on the market offering pure chaga exclusive tea blends with chaga raw powder and extract powder. 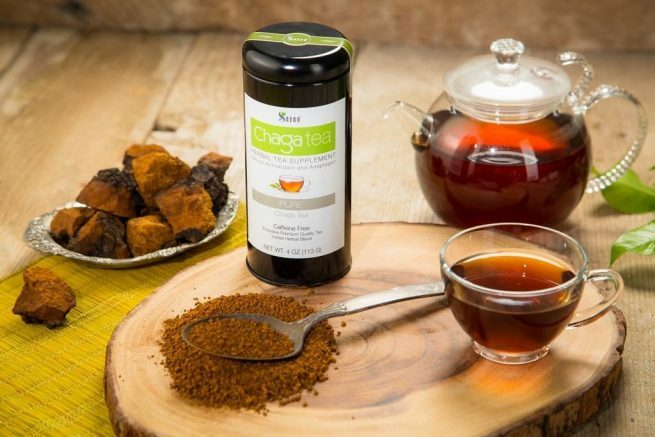 When you buy wild chaga tea, you’ll experience centuries of healing traditions in one cup. Feel the glow with Sayan. 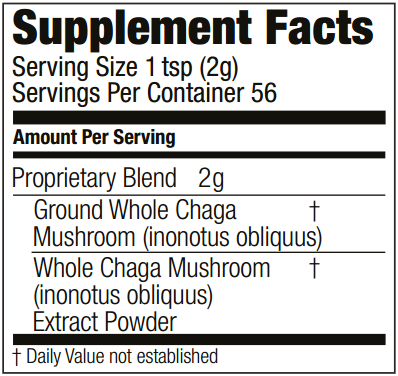 I had bad experiences with chaga but this kind is the best I have ever tried. Need to help your immune system, this is your product, so good.